AUSTIN, TX - Bullfighters Only is well known for its innovation in freestyle bullfighting, but now the trailblazing company is taking it another step further. Welcome to Bullfighters Only All Access: BFO’s new over-the-top digital media platform. The new platform brings forward hours upon hours of never-before-seen footage; from the most recent competitions, all the way back to the first sessions. Users can catch up on the action while new content continues to be added regularly. Whether it’s the extreme nature of freestyle bullfighting or just the way Bullfighters Only produces it, for many, there is an intense attraction to the game. Fans first tuned into videos of “BFO Sessions,” which featured the world’s top bullfighters in a battle to one-up each other with different tricks. Ferguson said, BFO’s fan base tends to be younger than traditional rodeo audiences. They are just the kind who utilize this type of digital platform. Bullfighters Only All Access is available now at https://bullfightersonly.com.vhx.tv. Users who subscribe using promo code: ALLACCESS will receive 50% off their first month’s subscription. 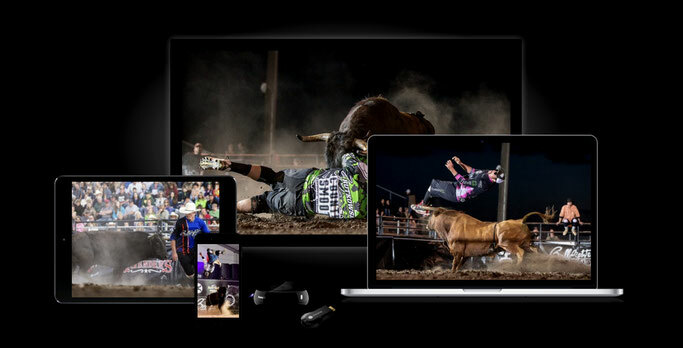 Bullfighters Only All Access is a revolutionary new platform delivering bullfighting content on demand - anytime, anywhere. Hours upon hours of footage from past BFO competitions and Sessions + never-before-seen content.